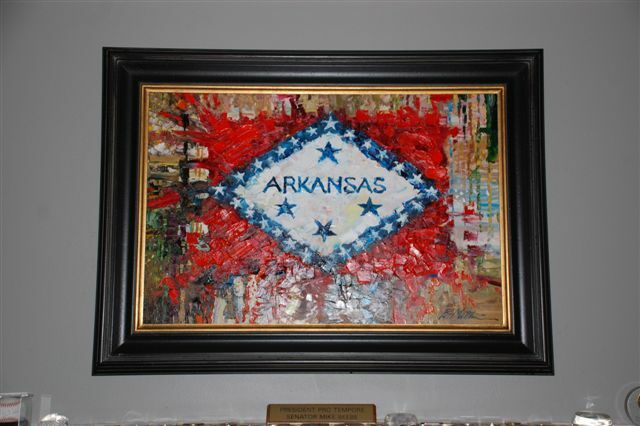 "At the Arkansas Governor's Mansion, we enjoy showcasing the work of many talented Arkansas artists and craftspeople. Hailing from Arkansas, Pat Matthews is certainly one of the finest American Impressionist artists, and we appreciate the fact that three of his paintings grace the walls of the Mansion, including an original work commissioned for the official 2010 Christmas card. Pat's compelling mastery of his craft has gained him far-reaching recognition, and we are proud to have his work represented at "the People's House."